Wes Scalf, 13, speaks to his mom, Lisa Scalf, in their home in February 2019. Research came to light earlier this year showing that reading passages on the State of Texas Assessments of Academic Readiness, or STAAR tests, are one to three years above grade level. San Antonio middle-schooler Wes Scalf is not a fan of the tests. When Wes was in fifth grade, he failed the math STAAR test twice. “I kind of felt like I failed myself a little bit, and I felt like I didn’t do good enough,” he said, thinking back to the day two years ago when he found out he didn’t pass. “I thought that he was handling it okay, just on the surface right at first,” said his mom, Lisa Scalf. Despite the setback, Wes thrived in middle school. He made honor roll, played tenor sax in the band and competed on the tennis team. Scalf said she received glowing progress reports from his teachers. But at the end of the year, he once again failed a STAAR test, this time in reading. At the time, Scalf just thought Wes didn’t test well. 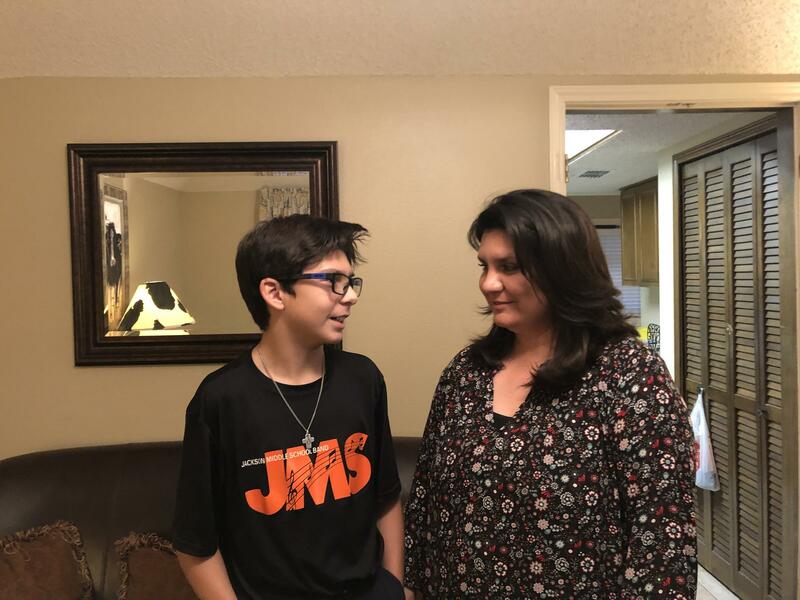 He receives special education services for learning disabilities, but his teachers said he was reading on grade level, and they expected him to pass. “Everybody was just sort of stunned,” she said. But now, she thinks she knows why. “To hear that they were testing at two to three grade levels above the grade level they should have been testing at was surprising, and really just made me angry,” Scalf said. The first study examining the reading level of STAAR tests was published in 2012 by researchers at Texas A&M University-Commerce. It calculated the difficulty of sentence structure and vocabulary using several different computer algorithms called readability formulas. The formulas are often used by librarians and teachers to find books appropriate for their students. Two more studies followed with the same results, but their findings didn’t become common knowledge until February, when they were highlighted in a Texas Monthly article. Mary Hardin-Baylor education professor Jodi Pilgrim, one of the authors of the 2016 study, testified at a public hearing on STAAR in March. “We train our teachers to avoid material that’s written at the frustration level. And what I mean by frustration level is any material that they may encounter where they don’t know 90 percent of the words,” Pilgrim explained during an appearance before the House Public Education Committee. But Texas Education Commissioner Mike Morath assured the committee that the STAAR tests are on grade level. “We have a valid, on grade-level assessment. It’s reliable,” he said. Lawmakers from both sides of the aisle grilled Morath for two hours over his position. He said the readability formulas used by Pilgrim and the other researchers are not a good way to measure whether or not the STAAR tests are on grade level because the formulas only look at sentence structure, not content. Morath said the Texas Education Agency does use readability formulas to help select reading passages. However, he placed more importance on the judgment of teachers. Committees of Texas educators approve reading passages before they’re added to STAAR tests. Pilgrim and other literacy experts agreed that teachers should be consulted to make sure students have the life experience to understand the text. But they said readability formulas should also be used. “Readability is the foundational level for all instruction in reading. The very first thing you learn when you become a literacy teacher is the level of the text — it makes all the difference in the world,” said Lora Darden, the director of elementary instruction at Round Rock ISD. Several lawmakers filed bills in response to the testimony they heard, including San Antonio Democrats Diego Bernal and José Menéndez. 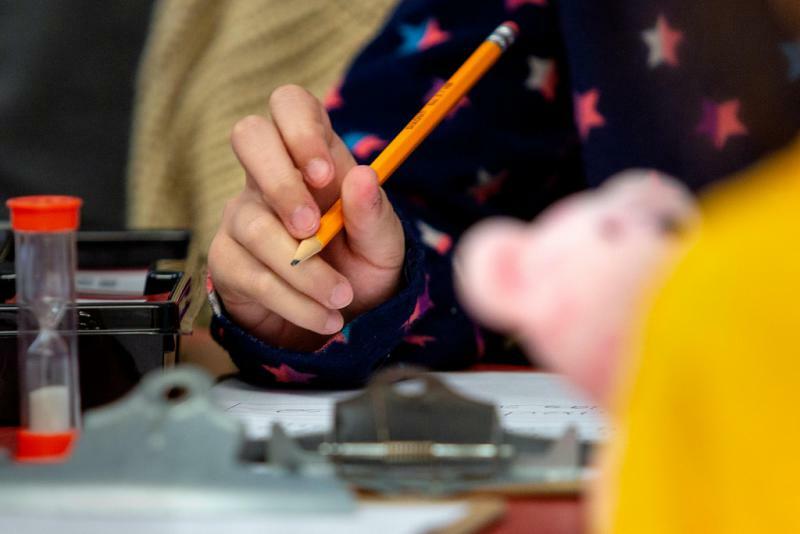 Their companion bills filed in the House and Senate would put a hold on high-stakes consequences tied to the STAAR, like school closings and graduation requirements, until an outside investigator confirms that reading passages are on grade level. Bernal’s bill is scheduled for a hearing in the House Public Education Committee on Tuesday. Menéndez has also filed a more hard-line bill that would put a hold on the STAAR tests until the investigation is complete. That’s more in line with what San Antonio mom Lisa Scalf would like to see happen — she’d like STAAR to be replaced with a different test — but it’s also harder to accomplish without losing funding. 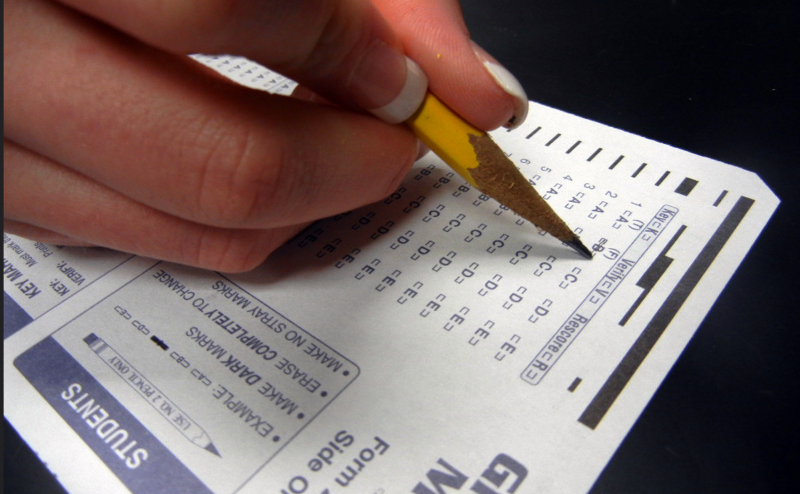 Federal law requires states to give students a minimum number of standardized tests. A bill amendment directing the Texas Auditor to review the third grade STAAR has already passed in the Texas House with bipartisan support.